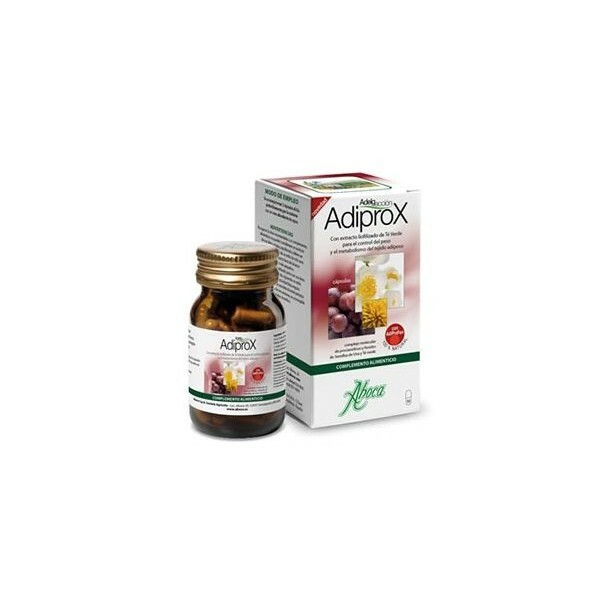 Adiprox Adelgacción capsules Aboca is ideal for low-calorie dietary regimens weight control helps us as an adjunct adipose tissue metabolism. 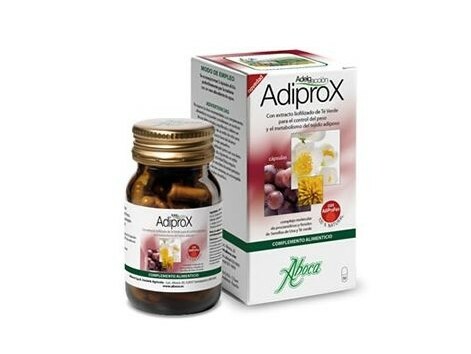 Adelgacción Adiprox is useful for weight control in the field of low-calorie diets thanks to the presence of AdiProFen, a molecular complex 100% natural procyanidins and phenols grape seed and green tea. • support the process of thermogenesis and lipolysis. This action, which contributes the functionality of adipose tissue, is very important because this tissue is not just a body fat accumulation but actively participates in the regulation of lipid metabolism and is involved in modulating the body's response to processes weight control. The freeze-dried extract of Dandelion complete the action of exerting a purifying action Adiprox body. It is advisable to take 3 capsules a day, preferably in the morning with a hearty glass of water. Dandelion (Taraxacum officinale) root powder; Green tea (Camellia sinensis) leaf powder; lyophilized Coextracto (AdiProFen®) of green tea leaves (Camellia sinensis) and seeds of grapes (Vitis vinifera); Jelly; Dandelion (Taraxacum officinale), freeze-dried root extract. Food supplements should be taken at daily doses recommended in product labeling, or by prescription from a specialist, these recommendations should not be exceeded. Food supplements can not replace a balanced diet. A varied diet rich in fruits and vegetables can provide all the nutrients (vitamins and minerals) needed. This product is not designed to be used by pregnant or nursing women, unless stated in the description. If you are taking any medication, planning any medical or surgical or medical condition have any special procedure, consult your health professional before taking this product or any nutritional supplement.